Toshiba's picture processing tech may be AWOL, but you get a lot of screen for your cash - just the ticket for home cinema fans on a budget. The Toshiba 40RL858 is positioned directly below Toshiba's TL868 series (the 40TL868 and 46TL868), which add 3D to the mix. It's also available as the slightly larger 46RL858. 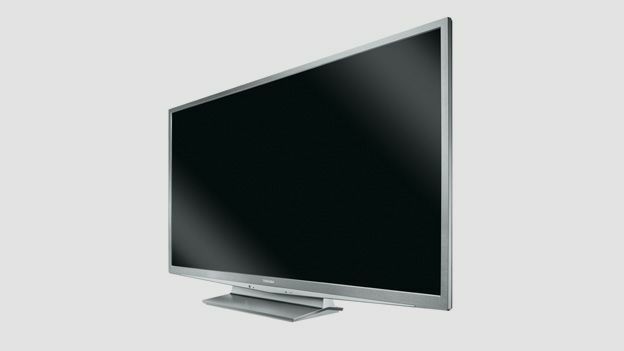 Principal competition comes in the shape of Sony's KDL-32EX524 and the Panasonic TX-L37E30. This model's main claim to fame is Smart connectability. The brand's online community, called Toshiba Places, is home to a reasonable selection of 'net TV (including BBC iPlayer, YouTube, Dailymotion and assorted PPV services), plus some social media malarkey. DLNA media streaming is a bit bumpy, though. Across a network, video file compliancy is effectively restricted to MPEGs, but from USB you can play everything from MKVs on down. There's also support for MP3s, although album art isn't displayed. All RL screens have a brushed silver finish, rather than common or garden gloss black, which looks very chic to our eyes. An exceptionally thin bezel adds an air of sophistication. The TV features three, rather than four HDMIs, one of which is side-mounted for casual gaming use; this may slow you down if you have more than a couple of permanent HD sources on the go. Legacy connections include Scart, component video, a PC VGA input, CI card slot and an optical digital audio out. There's no resident Wi-Fi, although you do get Ethernet and USB for local media playback. It may lack the cutting edge picture processing available higher up the Toshiba range, but once calibrated this screen is capable of a decent enough visual performance. Colours are not particularly accurate (the set suffers from sun-bed syndrome, with reds rendered a TOWIE orange), but motion resolution is good and clarity is high (once you tame the over-eager Sharpness control). Blacks are deep, but levels have been crushed to exaggerate dynamics. To see the 40RL858 at its best, hook up a Blu-ray player or external HD source such as Sky+HD or Virgin Media TiVo. The Freeview HD channels don't really do the set justice. One area where this TV really does falter is audio. The wafer thin cabinet hides anaemic speakers capable of only the thinnest of squeaks. An external sound system is highly recommended. When it comes to design and feature spread, the affable Toshiba 40RL858 is certainly on the right path. While there are some infuriatingly rough edges when it come to network media playback (stick to playing files from local USB for the best results), the wide-ranging benefits offered by net connection outweigh any missing three dimensional frippery. That said, we do miss the picture processing smarts which distinguish higher end Toshiba models from the competition. Overall, we think this LED TV is worth shortlisting, particularly if you can bag it on a bundle deal.